10.11.2013 (Hvino News) Georgia is working on inclusion of the country's traditional way of wine making into UNESCO's List of Intangible Cultural Heritage, the Georgian Foreign Minister Maia Panjikidze told journalists after the meeting with the Director General of UNESCO, Irina Bokova in Paris. Georgia's Foreign Minister took part in the work of the 37th session of UNESCO's General Conference. 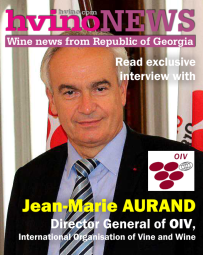 "We want the tradition of making of the Georgian wine, which is called qvevri wine to be included into UNESCO's List of Intangible Cultural Heritage this year," Panjikidze said.The issue of giving the status of "Intangible Cultural Heritage" to this method of wine-making was discussed in Tbilisi in February 2012 at the coordination meeting with participation of representatives from UNESCO's National Commission, Patriarchate of Georgia, different agencies, international and non-governmental organizations, as well as Georgian winemakers. Georgia joined UNESCO Convention for the "Safeguarding of Intangible Cultural Heritage" in 2007. The Georgian folklore has already been included in the list of the world's intangible cultural heritages. Earlier, according to the Georgian president Mikheil Saakashvili's decree, the Georgian qvevri (clay jug for wine) wine was declared a monument of cultural heritage and was granted the category of national importance. The Intangible Cultural Heritage programme was established in 2008, when the Convention for the Safeguarding of Intangible Cultural Heritage took effect. The UNESCO lists includes, for example, Armenian cross-stones khachkars and Argentinian tango. 09.11.2013 (Hvino News). Chairman of the National Wine Agency Levan Davitashvili participated in annual meeting of World Wine Trade Group (WWTG). The plenary meeting was held on November 6-8 in Washington, USA. Signing of document, which regulates requirements on wine labeling, such as allowable deviation of alcohol content, harvest/vintage, grape varieties and wine regions. Besides, discussion is scheduled on ways for reaching agreement on limits establishment for pesticides' use as well as other problems of winemaking. The Agency declared that WWTG meeting in 2014 might be held in Georgia. WWTG is informal alliance of Argentina, Australia, Canada, Chile, Georgia, New Zealand, South Africa and the US, aiming at trade facilitation between member states. 09.11.2013 (Hvino News). The outgoing president of Georgia Mikheil Saakashvili along with the team of Georgian wine makers attended the opening of the wine festival in Merano, Italy. Mikheil Saakashvili addressed the participants. “I’m from the country that is the homeland of wine historically and Greeks took it from Georgia through Black Sea to various countries. 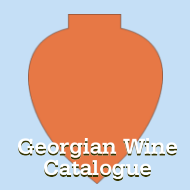 Today we have 500 varieties of Georgian wine. To me it’s very important to be here with you today. By this I promote Georgian wine. I’m accompanied by the team of Georgian wine makers. 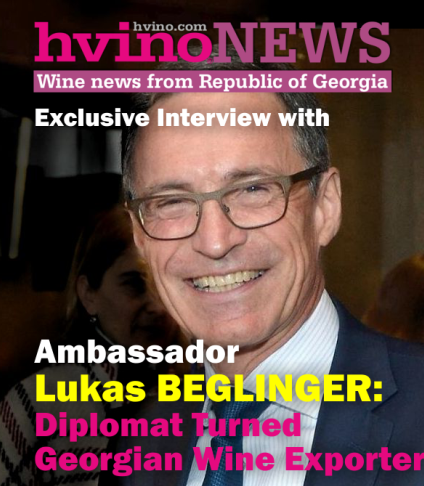 We have recently created wine associations in Georgia and it’s very important to have partner relations with you and to deepen this cooperation to promote Georgian wine in European market”, The President of Georgia said. 08.11.2013 (Hvino News). The sixth HKTDC Hong Kong International Wine & Spirits Fair, one of the largest fairs of its kind in Asia, opened on November 6 with more than 1,000 exhibitors from 40 countries and regions. 07.11.2013. Engusi Natberadze is a delightful, friendly winemaker from a family who has been making wine for generations. Engusi is proud of his wines and chacha. 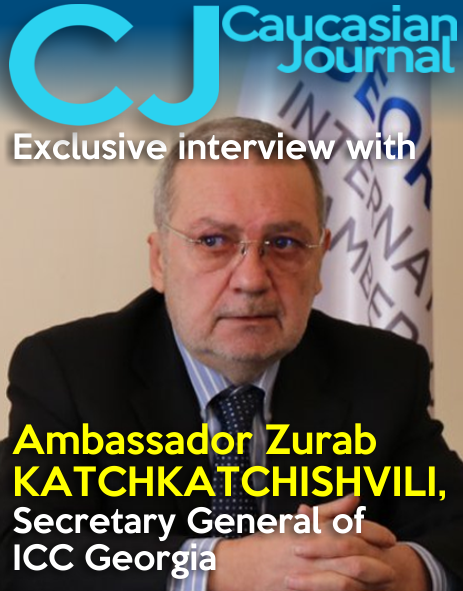 Engusi Natberadze has seen the development of wine in Georgia over many years. Noting that his father and grandfather made wine here, Engusi said that his family has been making wine beyond the fourth or fifth generations. Today his vineyard is home to grapevines more than 100 years old. Some of his qvevri are 200 years old. Asked if he ever recoated the inside of the qvevri with beeswax, he said that even the oldest qvevri had never been recoated. The white grapevines in the vineyard include Tsolikouri, Mtsvane and Kudurauli. Red varieties are Aleksandrouli, Mujuretuli, Dzelshavi, Aladasturi, Kapistoni and Otskhanuri Sapere. 05.11.2013. 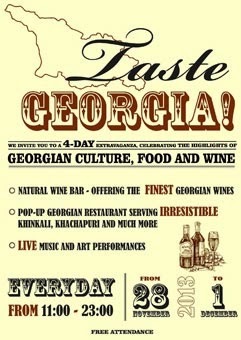 Georgia is one of the oldest wine producing regions in the world. Archaeologists believe that the world’s first cultivated grapevines came from an area where Georgia sits, the South Caucasus valleys, more than 8,000 years ago. With such a deep history of wine production, the beverage has become an inseparable part of the country’s identity. For this reason Georgian Ambassador to Seoul, Nikoloz Apkhazava, felt a fundamental part of incorporating Georgian culture into the Republic of Korea was to begin importing Georgian wine. He began this endeavor shortly after his country opened an embassy in Seoul in 2012. The importance of wine is even articulated in the country’s language. “The word wine comes from the Georgian word ghvino. Georgia also literally translates to “tiller”, explains Apkhazava. 06.11.2013 (Hvino News). According to the Georgian Wine Agency total of 6,733,221 bottles of wine (0.75l) was exported to 21 countries in October, 2013. The overall export as of October amounts to 33,188,949 (0.75 L) bottles, being 81% higher compared to last year's same period. Five leading export destinations of Georgian wine are as follows: Russia, Ukraine, Kazakhstan, Belarus and Poland, where Russia holds 40% of total volume of exports. Latvia and China are on 6th and 7th places in volumes respectively. Exports in value as of October 2013 amounted to more than US$100 mln, which is already 19% higher than last year's total. 05.11.2013.Over the years, Simon Chkheidze in Meore, Imereti, Georgia has sought to produce quality wines before making them available to the public. He expects to bottle his first wines from the 2014 vintage. Simon is focused on producing and exporting quality wines made with the Otskhanuri Sapere grape. After walking to the vineyards, we enjoyed tasting an Otskhanuri Sapere wine that winemaker and owner Simon Chkheidze produced. The wine tasting was at a long wood table near several qvevri buried in the soil. Nearby sits a large 150-year-old wood press. Simon Chkheidze has a small family vineyard winery in the village of Meore, Imereti. Although he has not yet started to bottle his wines as he seeks better quality, we enjoyed the wine we tasted and believe they are likely to become well known. Simon expects to reach his goal of bottling a quality Otskhanuri Sapere wine beginning with the 2014 vintage. Eventually he would like to produce 40,000 bottles. Wine enthusiasts will want to check out this wine when it becomes available on the international market. The 3.5 hectares (8.6 acres) of vineyards close to Simon’s marani are 30 years old. Grape varieties include Tsitska, Tsolikouri (pictured), Krakhuna and Otskhanuri Sapere. The Otskhanuri Sapere grapes are special for him. He believes that the Otskhanuri Sapere variety is unique and relatively unknown but produces a wonderful wine. 04.11.2013 (Hvino News). Georgian wine might be presented at the Vilnius Summit. According to the Ministry of Foreign Affairs, the Georgian side is carrying out negotiations about this topic with the organizers of the Vilnius Summit. "This topic is being discussed. We are working on it. We are negotiating with organizers of the summit to present Georgian wine at the summit", - the representative of Ministry of Foreign Affairs said. 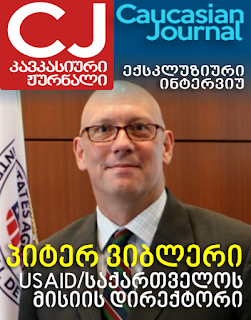 According to the Ministry, all organizational issues about how Georgia will be represented at the summit, will become known to the public. The third Eastern Partnership Summit in Vilnius will be held on the 28-29 November, 2013. Highest representatives of the EU institutions, 28 EU member states and the six Eastern European partners are expected to take part in the event. Eastern Partnership Summits are held every two years. 04.11.2013. Ramaz Nikoladze’s Wine Cellar, a small family winery, is located in Western Georgia near the city of Kutaisi. When planning to visit Ramaz Nikoladze’s Wine Cellar be sure to call for an appointment and directions. 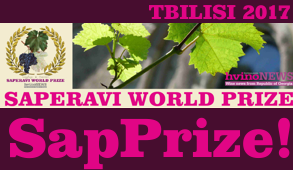 Currently Ramaz has 0.7 acres of grapes that include Tsitska and Tsolikouri. These vines are between 27 and over 100 years old. 03.11.2013. 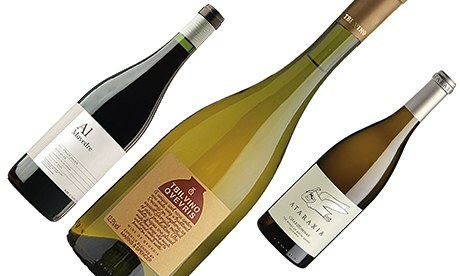 Three of the best: tempt your taste buds with trio of unusual wines. 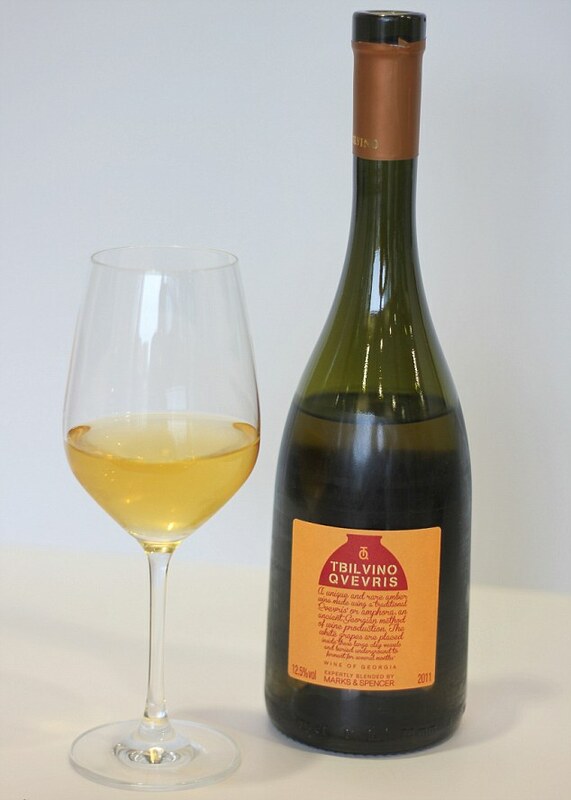 Tbilvino Qvevris, Kakheti, Georgia 2011 (£8.99, Marks and Spencer): Another bold piece of buying from the adventurous wine department at dear old Marks & Sparks, this is quite unlike anything else on their (or any other supermarket's) shelves. It's not just the fact that it comes from Georgia – a country with a long (arguably the world's longest) winemaking history and a high hipster approval rating in the sommelier community, but which rarely features on the high street. It's the way it makes use of qvevri, the traditional, buried, amphora-style clay vessels, to ferment some of the native rkatsiteli, bringing honeyed spice and herbs and a slightly chewy texture to this dry white. It's an excellent introduction to the style, although for the full, intense experience, you should check out the selection of 100%-qvevri wines from the likes of Iago Bitarishvali and Pheasant's Tears at Les Caves de Pyrene. 01.11.2013 (Hvino News) Russia granted permission to eight more Georgian companies for registration of alcoholic beverages for export to Russia. 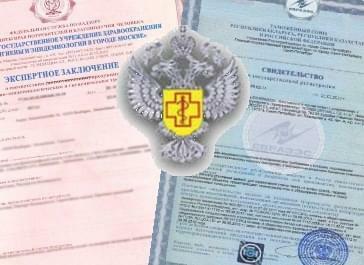 State agency Rospotrebnadzor decided to admit to the state registration the following 8 companies: Aragvi, Bolero & Co, GVMT Group, Black-Sea-Wine, Kvlivo, Papris Mindvrebi, Akido, and Georgian Wines from Mukhrani Cellar, according to official website. 103 companies that produce alcoholic beverages, one company that produces beer, and seven companies that produce mineral water in Georgia are currently permitted to supply their productions to the Russian market, Rospotrebnadzor reported on October 30. Russian experts checked about 39 Georgian enterprises that produce alcoholic and mineral beverages during their visit to Georgia in September 2013. According to the Rospotrebnadzor, Georgian producers have brought over 6 million liters of alcoholic beverages to the territory of Russia since June. It is expected that another 2-3 million liters will be delivered by end of 2013.